The Office Furniture Installation Alliance (OFIA) is an industry leading, national network of the highest quality service providers within the furniture industry. Sign Up For Updates Register! What makes OFIA the destination source for furniture installation projects? The OFIA network consists of several hundred of the industry's best service providers across the US and Canada. The OFIA network is comprised with expert service providers with above average experience and qualifications. The OFIA network is managed and administered by InstallNET, a full service project management provider. Reviews from recently completed installation service jobs. Install went without a hitch. My customer kept moving the install date and Installation Concepts worked with us to find a time that worked for everyone. They also sent pictures once finishes which we really appreciated. ERC was great to work with on this project. They were also incredibly patient when we had to push everything back a few months! Thank you so much for your hard work. The Assembly Line group, specifically Karol, was great to work with. Everyone was very professional and Karol was personable, organized, and prompt with all communication. I'm appreciative of all her efforts and the efforts of the entire TAL staff. They made this out-of-state job very smooth for my company. They were timely with their responses and very adaptive to the challenges and changes that were experienced with this particular install. dependable, professional, love this company, always ready with answers and help, they are on the ball and thorough, they run a tight ship there! Very communicative and professional - my client is very pleased which means I am as well! UNC was wonderful to work with on a sample delivery. Their communication was great. ABS helped us close all of our punch issues in a timely manner! ABS did an amazing job with this installation and went above and beyond to help Agati. We ran into a couple problems and ABS was accommodating, flexible, and always helpful. We would definitely work with them again in the future. The Big Guys Home Delivery, Inc. The Big Guys Home Delivery was wonderful to work! They had great communication and were flexible and helpful. Thank you! Kim and Doug are awesome and very accommodating. love working with this company. they do a great job. Systems Furniture Specialist did a great job with our project! Everything went smoothly. The crew was great, knowledgable and very friendly! 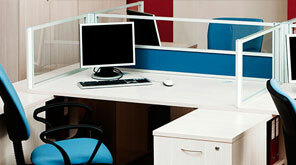 Will definitely work with Office Systems Installations in the future. Prompt, professional and required little direct supervision. Installation Concepts did a great job on this double installation. They were very flexible and accommodated the clients' scheduling needs. Great feedback received from our contact on site - thank you for all your help!! Client was thrilled with the installation and service from the crew. This project went great! Installation Concepts had great communication throughout the process and did a wonderful job at the installation. Excellent job. No problems. Our customer loved the install crew. They were very prompt and helpful. This project went very well!! As usual Proact was wonderful to work with. Communication was great, especially when the installers were on site. they communicated with us when they had questions and we were able to solve problems before the installers were gone.